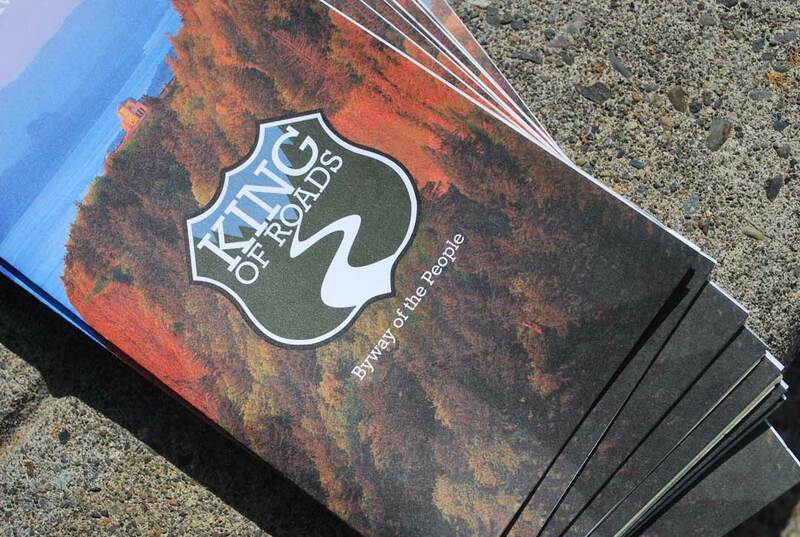 This brochure/map was created for the Troutdale Historical Society to promote their new exhibit, King of Roads. The map serves as a promotional piece and information handout. 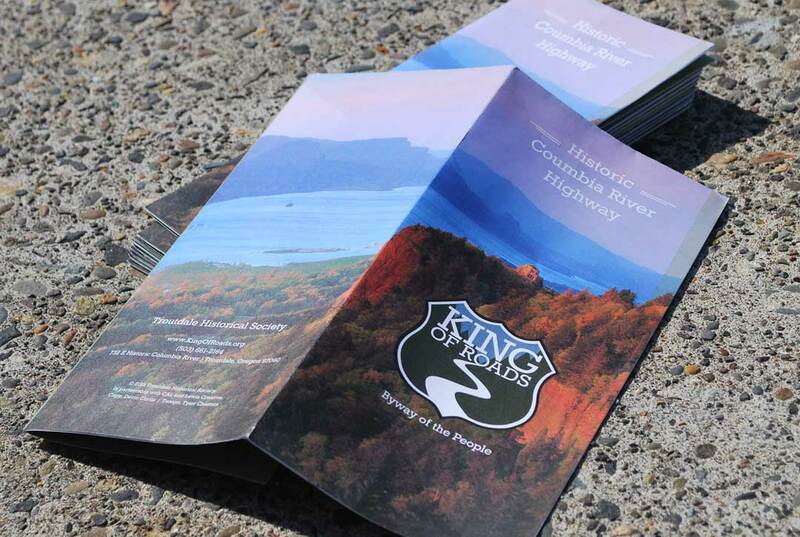 The map outlines the route of the Historic Columbia River Highway from Troutdale to The Dalles. 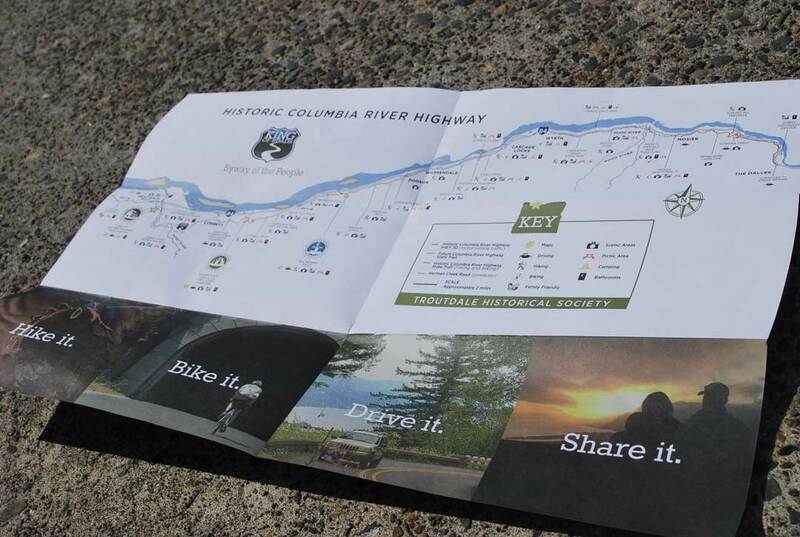 This map is a free handout and is available at the Barn Exhibit Hall to commemorate the 100th Anniversary of the Historic Columbia River Highway.